Elizabeth met James when she moved from Florida to Texas for work way back in 2013. They only worked together for one year before Elizabeth moved to a different city, but the two kept in touch, occasionally going out dancing with friends on the weekends. But these two Sweethearts began realizing there was more than just friendship growing between them, and began spending every weekend together, making their relationship work long distance. Eventually Elizabeth moved back to Waco and the two spent all their time together, taking their pups for walks in Cameron Park or going out dancing to live country music. Fast forward a couple months, and we are having chips and queso with James & Elizabeth at Chuy’s restaurant. We chat about their love story and get all the details of this romantic proposal, and talk about their wedding planning journey. It was such a fun time hanging out with them, and we couldn’t wait to see them again for their engagement session. When fall rolled around we began talking with them about their engagement portraits, and figured the perfect location would be somewhere near the Brazos River. After all, with a proposal like that, how could we not incorporate the Brazos in telling these Sweethearts’ love story?!? 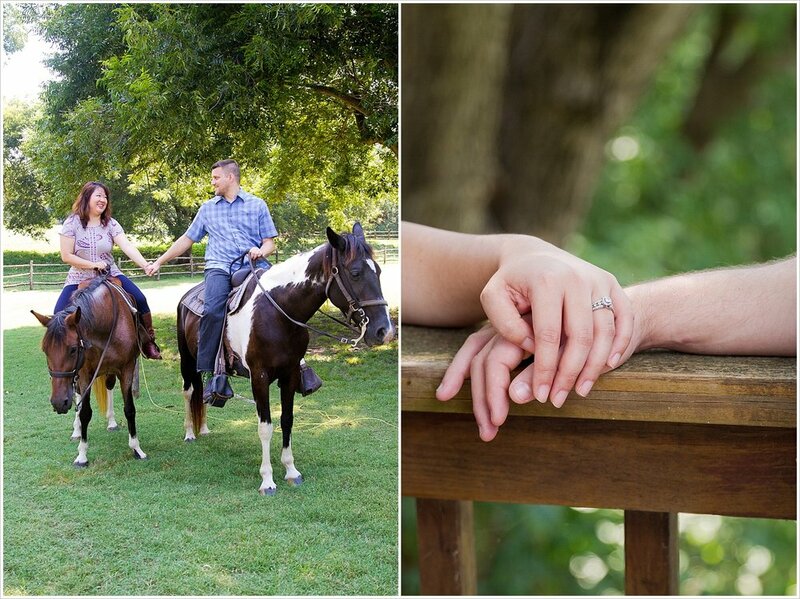 So on a beautiful fall evening we met James & Elizabeth at Brazos Park East here in Waco, Texas. We caught up with them on how wedding planning was going and walked them through our quick posing 101 guide to help them feel natural in front of the camera. And then we were able to step back and watch these Sweethearts interact with one another. Anytime we asked them to look at each other, Elizabeth’s face was beaming and James’ face would soften into a smile. Every time they looked into one another’s eyes you could feel the love they had for one another, the day-to-day real life love they shared. It was so romantic and real. And it made for some beautiful engagement photos! 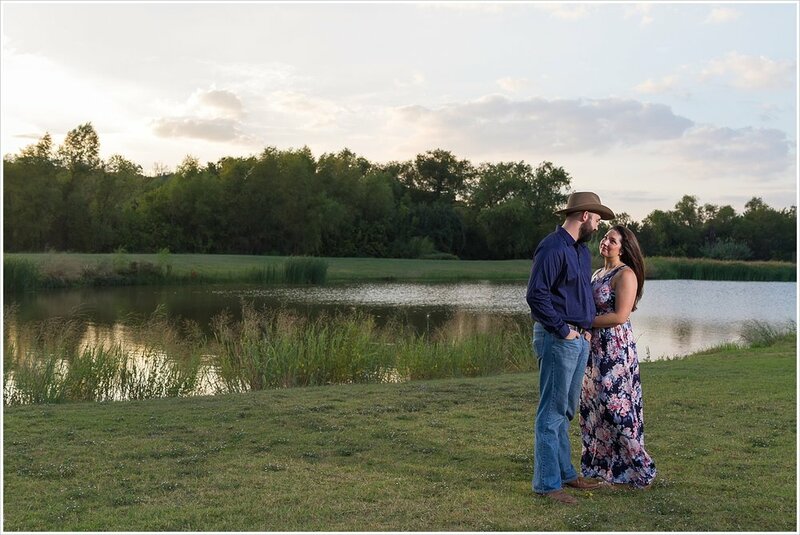 We have 5 more months to go before these two say “I do” out at Peacock River Ranch in Gatesville, and we can’t wait to be with them again! Because if their wedding is anything like their engagement session, it is going to be a special and romantic day full of celebrating the real and deep love James & Elizabeth have for each other. We loved getting to see you again halfway through this year. It seemed so long ago when we were hanging out at Chuy’s, but your wedding day is going to be here before you know it! We pray all your wedding day details fall perfectly into place as you go through these last few months of planning. And more importantly, you realize the amazing journey you two are on towards a meaningful marriage!